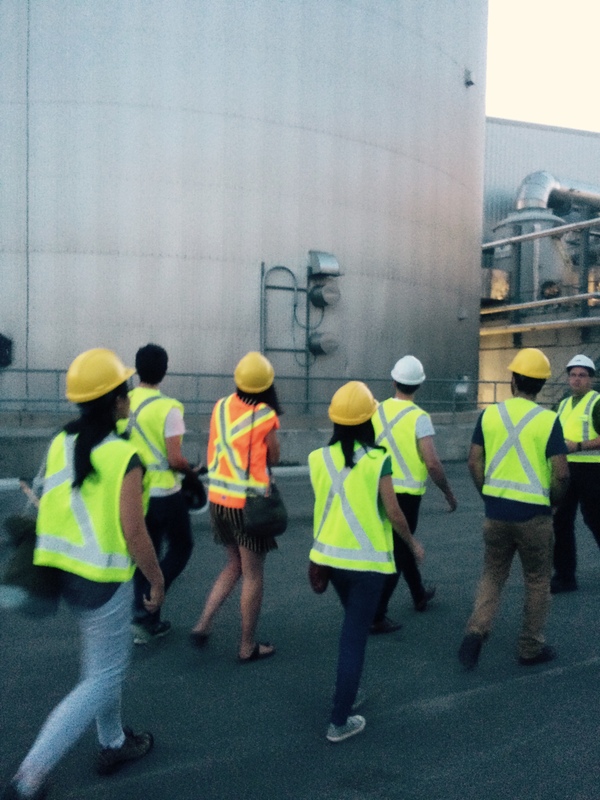 ← Inside Toronto’s Organic Waste! We did it. And we smelled it. 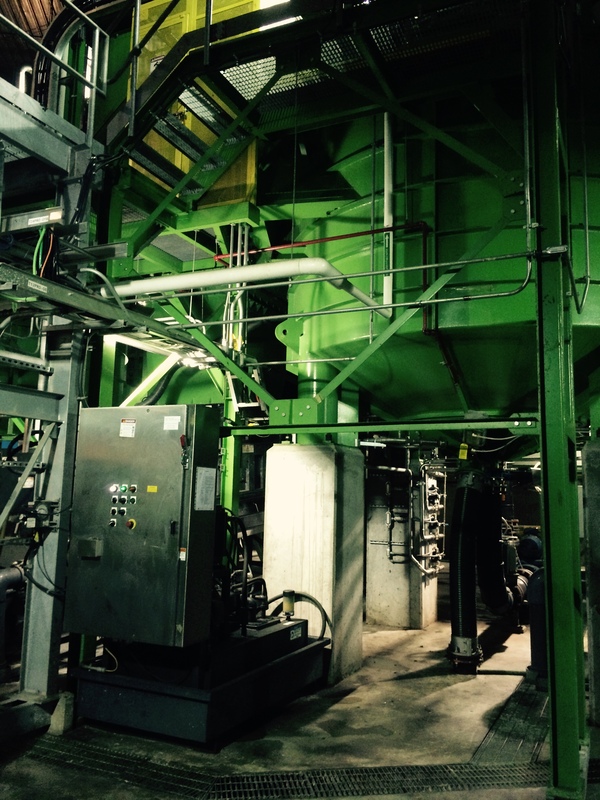 Toronto’s Disco Road Green Bin Processing Facility, that is. John, Derek and Nadine gave us a great tour of the facility, fully equipped with hard hats and reflective vests. 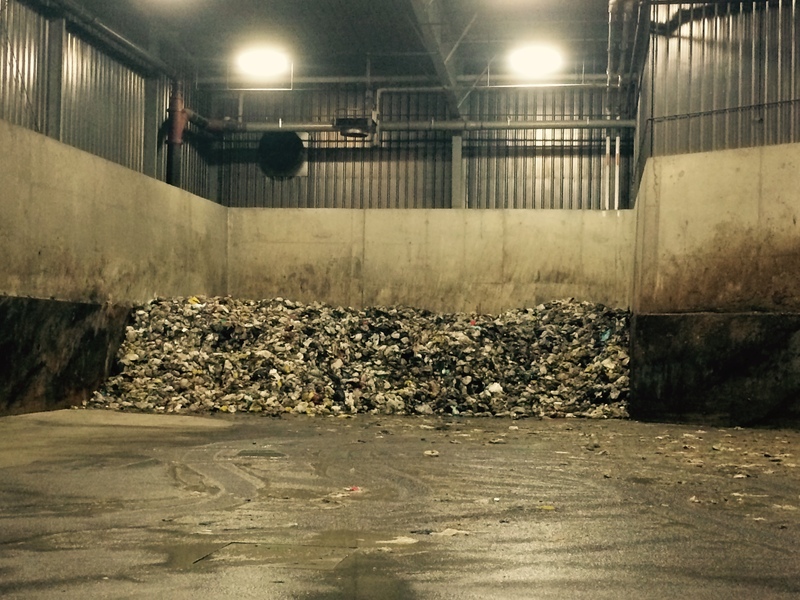 We even got to the bottom of the plastic bag mystery.. All of the compost gets put into a centrifuge that spins around, separating the good waste from the bad. Heavy objects like shoes and glass, fall to the bottom of the centrifuge, while the light plastics float to the top. The ‘good stuff’ settles in the middle, before being turned into compost. The site is also odourless! At least on the outside… so it can be nestled right into the heart of a city. 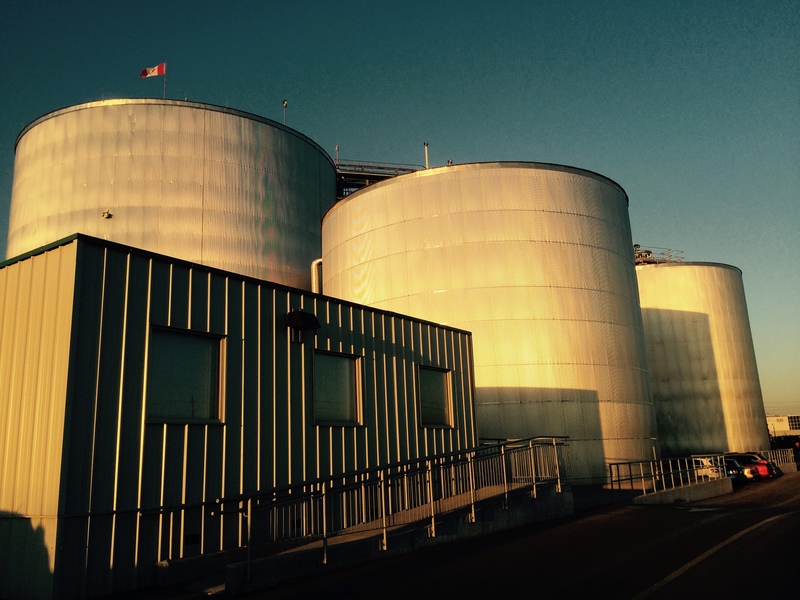 The anaerobic digestion projects also produced biogas, which the team is working to harness and eventually sell back to the grid. Pretty sweet, eh? Safety first! Walking through the site. Making magic! Waste to compost..